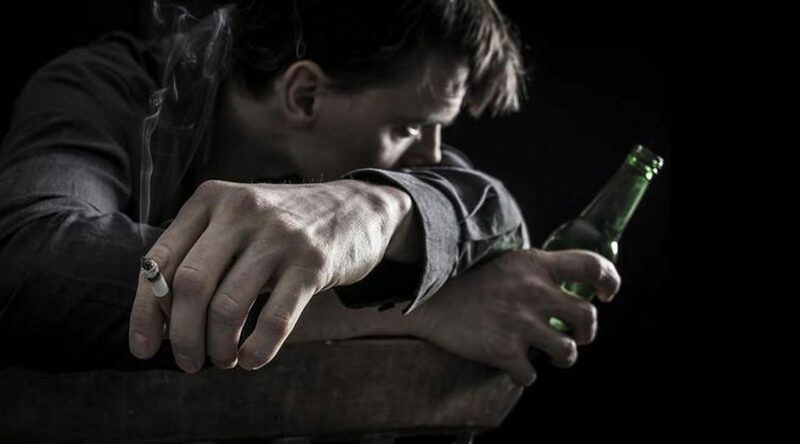 Why do Alcoholics and Addicts Relapse So Often? See the full version of this excellent article and more ways to avoid relapse. Full credit to Ruben Castenada, Staff Writer for US News. Why do so many alcoholics and addicts in recovery relapse, knowing it could cost them their relationships, their freedom, their careers and even their lives? Relapse is common, and it doesn’t discriminate. Between 40 to 60 percent of people who’ve been treated for addiction or alcoholism relapse within a year, according to a 2014 study in JAMA. While relapse is most common during the first year of recovery, people with years of sobriety can resume self-destructive drug use or drinking. For example, in 2014, Academy Award-winning actor Philip Seymour Hoffman was found dead with a syringe in his arm in his New York apartment. Hoffman, 46, died of acute mixed drug intoxication after injecting himself with a concoction of heroin, cocaine, amphetamine and benzodiazepines, authorities said. The previous year, the actor told TMZ he’d been sober for 23 years but had relapsed. To many non-addicts, it’s puzzling why people with substance use disorders would recklessly risk their lives to get high. Brain chemistry helps explain such behavior. Using drugs and alcohol releases dopamine in the reward pathway of the brain; dopamine is a neurotransmitter that helps regulate the brain’s reward and pleasure centers, as well as emotional responses. “This can affect alcoholics and addicts to the point their brains re-prioritize what’s most important, such as eating and survival,” says Dr. Marvin Seppala, chief medical officer of the Hazelden Betty Ford Foundation based in Center City, Minnesota. “The drug use becomes recognized [by the brain] as more important than survival itself,” Seppala says. “It’s almost unfathomable that the survival instinct could be superseded by something else. Trying to understand what that looks like is hard. People will risk their lives to keep using drugs.” Addiction also erodes the addict’s or alcoholic’s prefrontal cortex, the part of the brain involved with recognizing problems and planning solutions, Seppala says. These factors help explain why some addicts are not only undeterred by the possibility of overdosing fatally, but they’re drawn to it, Seppala says. In the last year or so, Minnesota has experienced a rash of fatal opioid overdoses, which were covered in the local press. The news didn’t scare addicts. “Our opioid-dependent folks would say, ‘Give me some of that,’ ” he says. “They don’t think, ‘I might die.’ They think, “I might get high!’” About a dozen people who had been participating in the Hazelden Betty Ford outpatient program dropped out, and Seppala believes they quit the program to use whatever deadly opioids were hitting Minnesota streets. Addiction and alcoholism are chronic and incurable, and arresting the diseases takes hard work. No one can simply take medication and be “cured.” Once an alcoholic or addict gets clean for a while, whether by spending time in treatment, attending 12-step support group meetings or some combination of the two, staying sober is challenging. Prescription medication such as naltrexone and Vivitrol, medications known as opioid “antagonists” because they block the effects of those drugs, can help some opioid users break their addiction. And some heroin users stop using that drug with the help of methadone, which can ease the symptoms of opiate withdrawal and blocks the euphoric effects of opiates. In the long run, people with a substance use disorder must change their behavior to stay clean, much the way diabetics have to be mindful of their sugar intake. 1. Join a 12-step support group. Participating in a support program such as Alcoholics Anonymous or Narcotics Anonymous provides a foundation that helps people remain abstinent from drinking and drug use, says Seppala, who’s been sober from drugs and alcohol for 41 years. While both programs refer to belief in a “higher power,” support group meetings for agnostics and atheists are available in many areas. Another option is Smart Recovery, a program that emphasizes scientific knowledge of addiction and provides tools to cope with urges to drink or use drugs and to manage feelings. 2. Surround yourself with positive people. If you stop drinking or using drugs but continue to hang out with drinkers and drug users, chances are you’ll relapse. “Sobriety works best when a person can surround themselves with other sober people who are working toward a better life,” says Lisa Boucher, a registered nurse in Dayton, Ohio and author of “Raising the Bottom: Making Mindful Choices in a Drinking Culture.” Those people can be sober friends from support group meetings. 3. Mind your HALT. This acronym, well-known in the recovery community, means people should not get too hungry, angry, lonely or tired, any of which can lead to a relapse, says Elizabeth Chance, a certified recovery specialist in Wayne, Pennsylvania, who works with addicts and their families. See full article and more ways to avoid relapse. Full credit to Ruben Castenada, Staff Writer for US News.